"The Settle Calendar is packed full of events, exhibitions, workshops and markets of every description. Our two excellent theatres have full and varied programmes of drama, comedy, music, film and lectures. The Folly hosts events that range from talks about local heritage to Family Activity Workshops. Events also take place in many of the pubs, clubs, cafes, churches and village halls within the town and surrounding villages." The Visit Settle Facebook Page is updated several times a day and includes details of local events as well as a lot of other information that may of interest to visitors to the Settle Area. This beautiful Victorian Music Hall in the market town of Settle is set between the Yorkshire Dales and the Forest of Bowland. A wide programme of drama, comedy and music is supplemented by community events, workshops and indoor markets. The Folly Experience mounts a range of permanent and temporary exhibitions on aspects of North Craven life with new seasonal exhibitions every year. 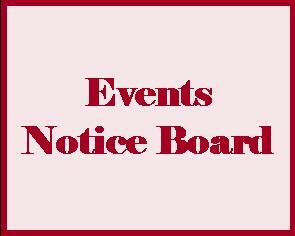 Other events include talks on heritage subjects of local interest and Family Activity Days. 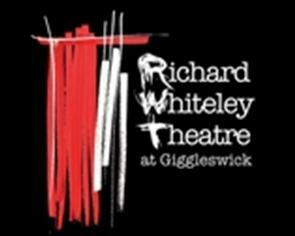 The Richard Whiteley Theatre is a innovative performing arts centre in the Yorkshire Dales, bringing outstanding performance to the area as well as acting as a showcase for some of the region’s own talent. Music, Film, Theatre and Art are all championed. Since opening in 2009 the Gallery on the Green has mounted a constantly changing exhibition programme, with contributions from local, national, and international artists whose interest and generous engagement in sustaining the life of the gallery lies at the core of our ambitions. The Friends of the Settle-Carlisle Line organise guided walks throughout the year. All walks are free of charge and begin and end at one of the stations along the line. The start time is determined by the arrival time of the relevant train at the start station. Settle Stories is for the curious. Our mission is to change your world through story. We collaborate with communities and artists to create transformative experiences that ignite curiosity and re-imagine storytelling. In our venue 'The Joinery' we bring the world to Settle and show Settle to the world through our live and digital programme. We've got a wide range of events to tempt you and get you outdoors and closer to nature at Malham Tarn. From pond dipping and den building to a night discovering the stars, why not take a look at our events list and see what we’re up to next. We also have a tramper (battery powered buggy) available to hire Monday - Friday (bank holidays by prior arrangement). We have three routes for you to choose from, each providing stunning views of Malham Tarn, so whether you want a bit of a challenge, or a stroll out with the rest of the family, we hope to have something to suit you.